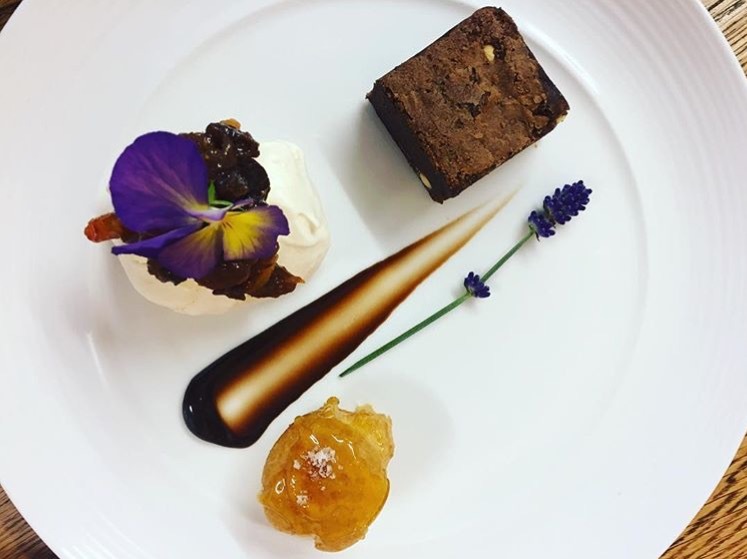 "The food tasted amazing and was beautifully presented and your staff were absolutely brilliant"
We use the freshest produce and local meat to create mouth-watering menus for wedding catering, drinks, lunch and dinner parties, barbeques, picnics and breakfasts for both private and corporate events. 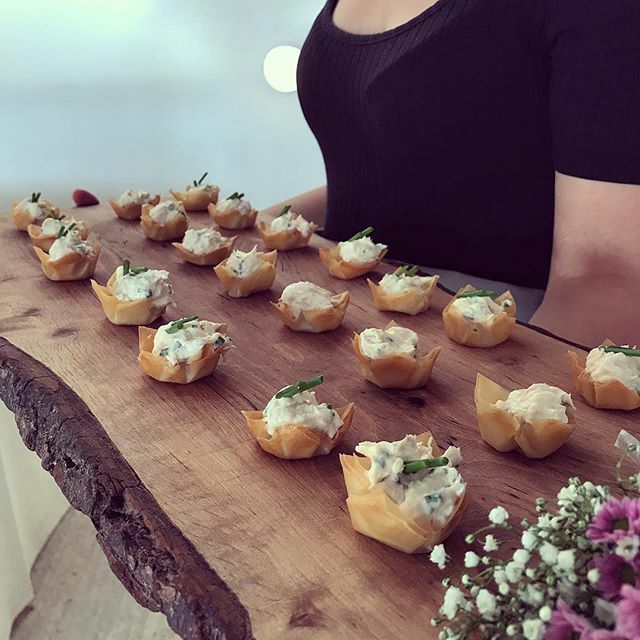 The reason we started this catering business was our love of great food and fantastic service, that is why there are never compromised and why our standards follow through. 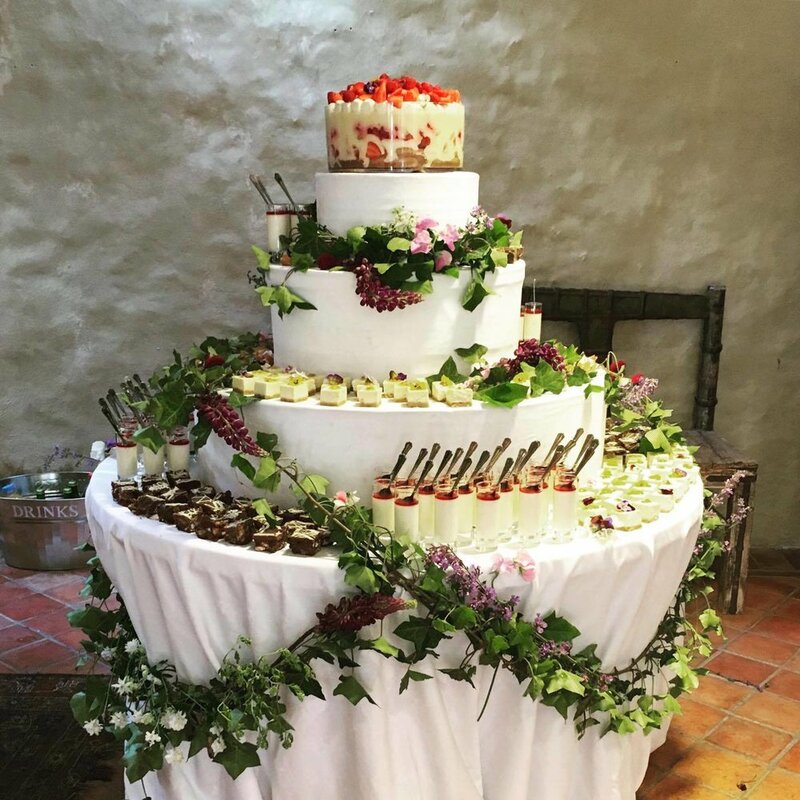 Based near Crickhowell, we provide catering to either side of the Welsh border. From Swansea and Cardiff all the way through Hereford and Gloucester and anywhere in between. Providing anything from wedding catering to street food and much more. Our strong team, made up of skilled, experienced and smiley staff are what make our service great. Liam our brilliant Chef, and Joanna our bubbly and efficient organiser work together alongside our fantastic support team week on week to provide harmonious first class catering service. Our hands on approach and creative flair makes us the perfect choice. We pride ourselves on creating bespoke packages to give you what you want, where you want it. 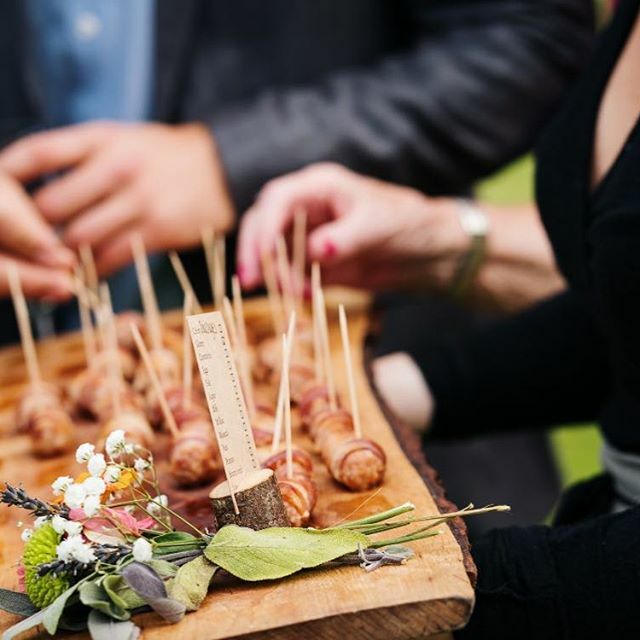 From wedding catering to party platters. 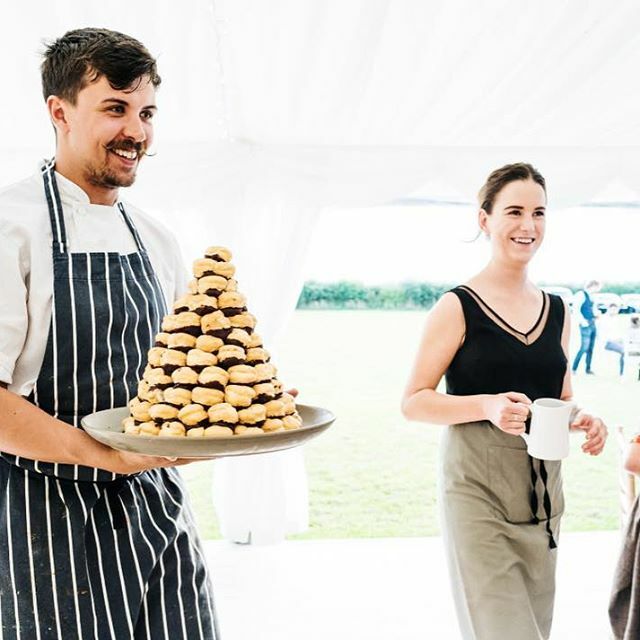 No matter the size of the function, your need is are our concern and we will work closely with you to achieve your specific requirements, and will be there to help guide you every step of the way, from the first enquiry to beyond the event date. So get in touch and we’ll get the party started! What is your role within Salt & Caramel? Running the kitchen and helping clients create their perfect menu. What Journey did you make to create Salt & Caramel? Being brought up surrounded by the constant smells and leftovers from my Mum's successful catering company 'Prickly Pear,' I acquired the love of great tasting food from a young age. When it was legal my mother took full advantage of having a cheap extra kitchen assistant on her door step, so I was given my first job! As soon as I could I left the UK to spend Winters in the Alps as a chef, where I got hooked by the lifestyle, cooking and skiing and met Joanna. With a love of season life, I became a private chef in a large luxury villa in St Tropez and also worked in a 5* hotel in Australia. Soon Joanna and I wanted to settle in Wales but wanted to carry on working together and doing something we love.... Salt and Caramel was born. What's your favourite food and drink? Food: Loving everything from truffle to wagyu beef. Honestly..... it all boils down to pizza. Drink: After spending 6 months in Austria, Stiegl has to top the list. Your favourite place in the World so far? Your favourite things to do when you're not working? A little bit of everything! I am the person at the end of an email, your main point of contact, I will be there for all meetings helping you to plan your event. I am there to help with prep is needed and during the event I am coordinator and head of front of house. Food has always been a big part of life for me. I come from a very foodie family and it has always been a passion. I started cooking young and studied it through school. Finishing school I went straight to the Alps to become a chalet cook, I travelled during the Summers and eventually ended up working on yachts as a stewardess where I could develop my front of house and service skills. Three and a half years ago, myself and Liam ran a chalet together, it was here the seed was sown. We both realised we wanted to do this on bigger scale, hence the creation of Salt and Caramel! Food: Anything Thai and South-East Asian. That's such a tough question! I think I say that about every place I go! If I had to pick one place I'd pick the French Alps as I'd like to live there one day. Being with friends and family, skiing, wakeboarding, taking photos, cooking (if I'm allowed to say that?) sailing, travelling, exploring, eating and occasionally exercise depending on my mood.